SeaFall, new “Legacy” game, coming in 2014 from Plaid Hat Games and Rob Daviau [Link] I thought the idea behind Risk: Legacy was awesome (if cringe-inducing to this collector), but I don’t like the underlying game enough to give it a go. This new game looks fantastic: a 4x game set in an alternate age of discovery that remembers grudges and evolves as you play. This one I would love to try. MeepleTown interviews Corey Young (Gravwell) [Link] Having played and enjoyed Young’s design, I appreciated his insights into his process. This is a good read. The Twenty Laws of Board Games [Link] Yep. Last week on iSlaytheDragon [News Bits, Martian Dice review, Dungeon Roll review, Elder Sign review, Keep the Crown preview, Guide to push-your-luck games] Lots of stuff last week. This week will see three reviews and a guide to math trades. Keep slaying! Battle Merchants: This is an economic game set in the context of a fantasy war, where players are arms dealers trying to make a profit. Interesting theme. I’m not a huge fan of the artwork, but the game below seems solid. $48. Lords & Ladies: I am (or used to be–we’ll see about season 4) a Downton Abbey fan, and this game looks very much in line with that series. $30. Fantasy Frontier: Steam airships are the new Cthulhu? Okay, maybe not. This one looks cool anyway. The artwork is phenomenal, and Gamelyn has successfully delivered other Kickstarter rewards. $45. Shadows over the Empire: A new game from Artipia Games. As usual, the artwork is stunning. This one doesn’t look like a crowd-funding project as much as a preorder system (the game will be at this year’s Spiel). $32 gets the game shipped. Stack & Attack: This caveman deck-building game looks interesting (and Jason interviewed the designer here). $25. Drive Thru Review Gen Con 2014 coverage: Joel Eddy of Drive Thru Review is one of a very few video reviewers I watch. He does great work, and he’s raising money now to prepare for Gen Con 2014. Various pledge levels. Marrying Mr. Darcy: I’m a sucker for games set in literary themes. This one (as the name implies) takes place in Pride & Prejudice, and it has charming artwork to match. $30. King of Clubs: This looks like a simple card game, but it involves actual dancing. And it’s cheap: $12. Allegiance: A Realm Divided: I don’t usually like fantasy artwork, but this game is excellent. 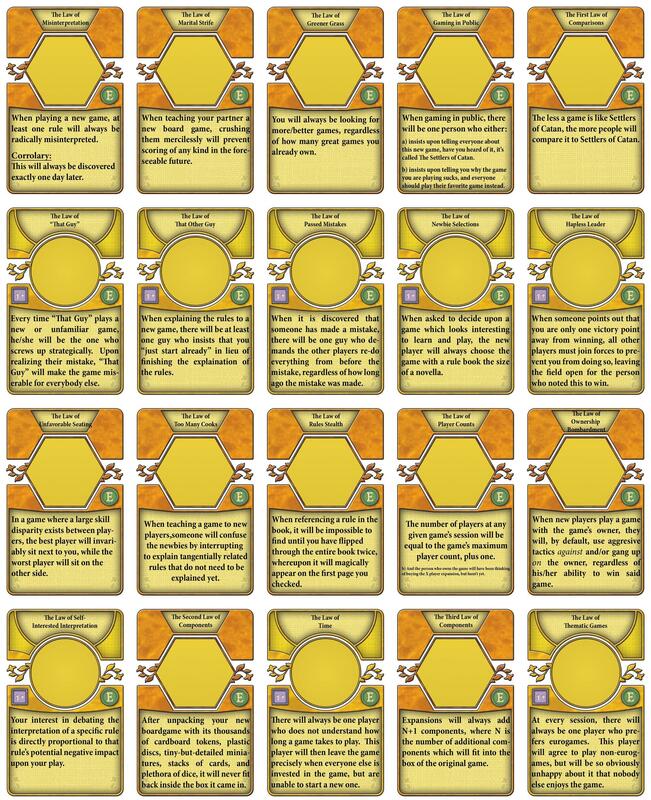 Looks like it’s definitely one for the CCG crowd, as the cards have lots of words on them. $60. The Uncommons board game cafe: This is to help a board game cafe get going in New York City. Various. Ninja Dice: Just about every theme has its own dice game. Well, now ninjas will. Really cool packaging on this one. $25. Keep the Crown: This looks like a fun abstract (and Jason previewed it here). $40.